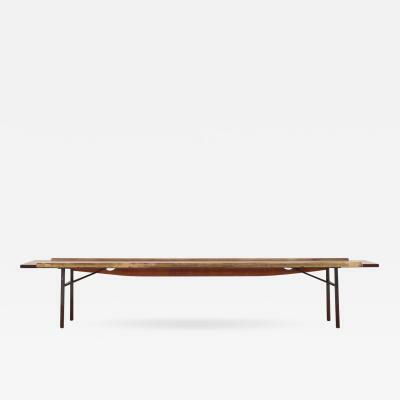 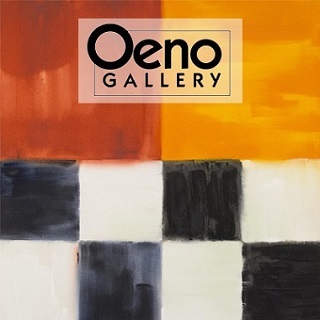 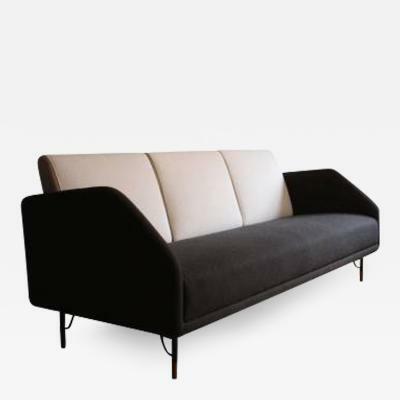 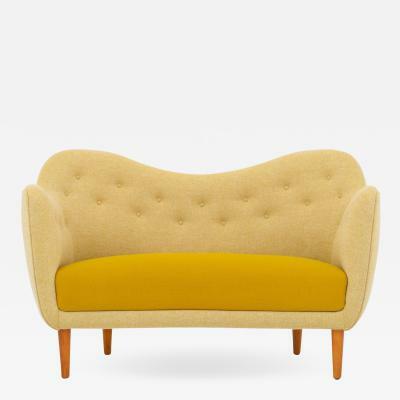 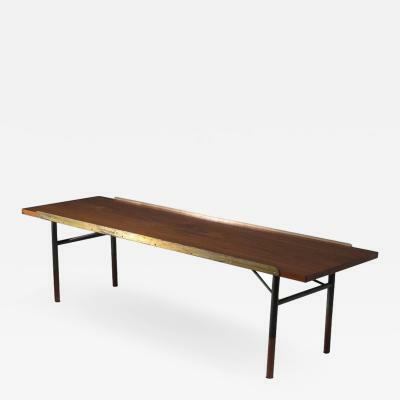 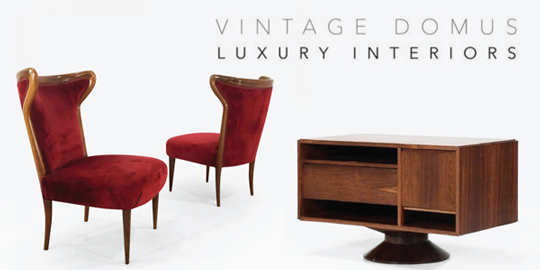 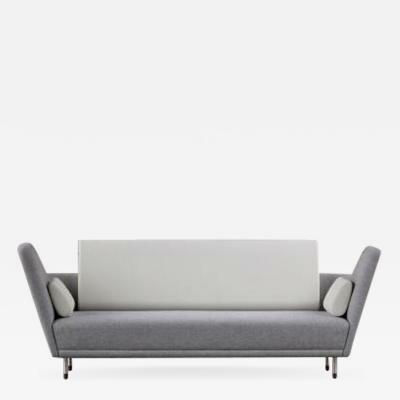 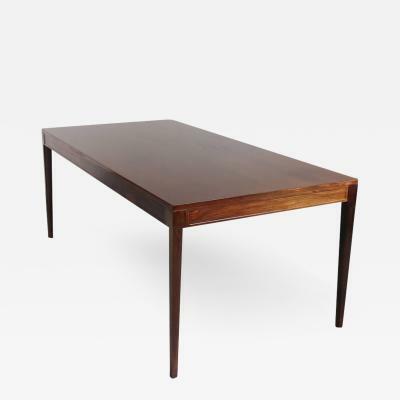 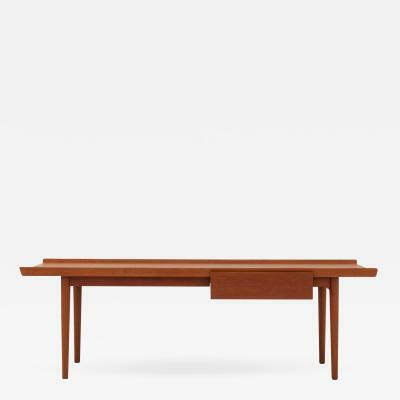 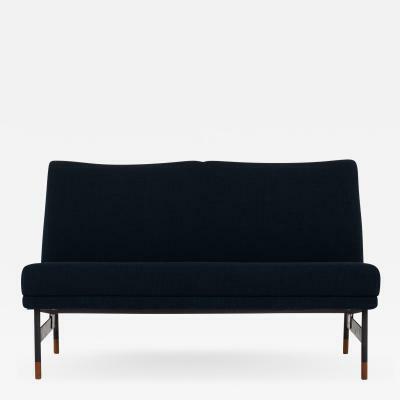 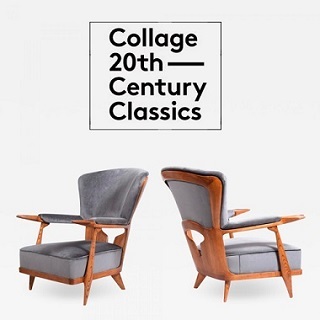 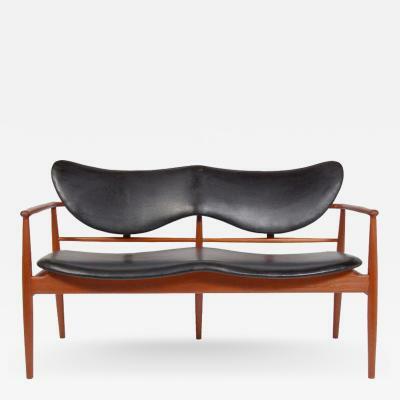 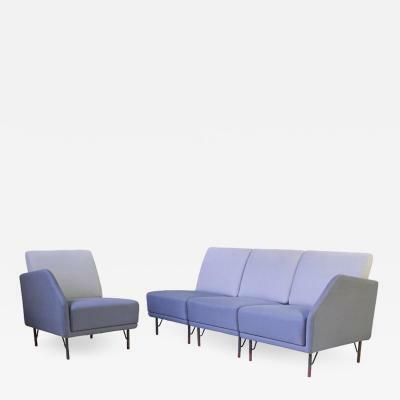 Danish architect, interior and industrial designer Finn Juhl was best known for being one of the pioneers of the creation of the distinctive Danish design style in the 1940s, and for introducing Danish Modern to America. 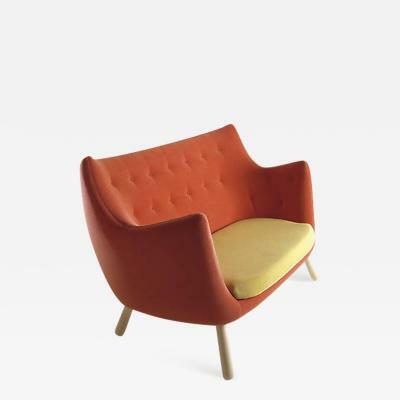 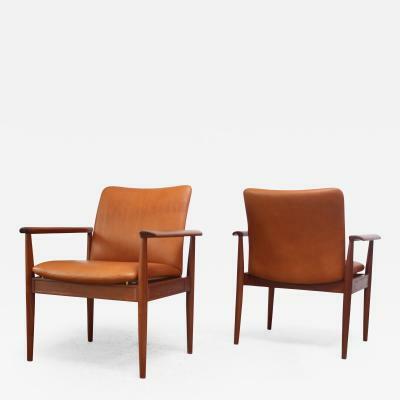 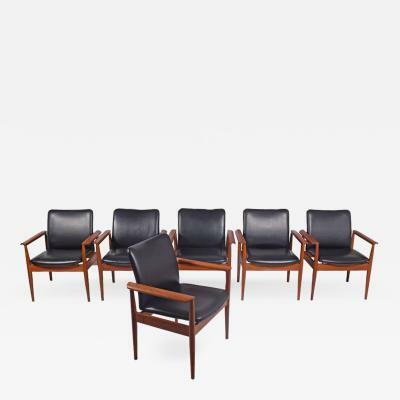 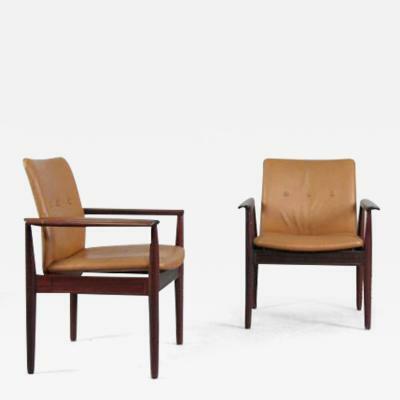 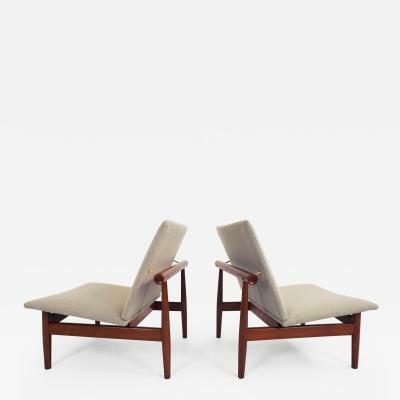 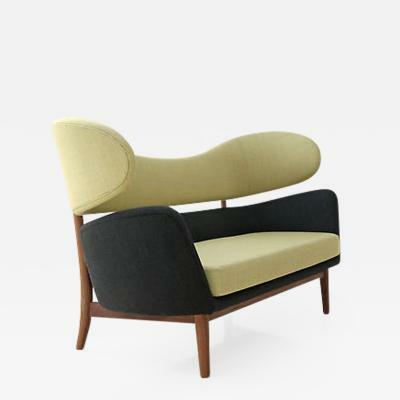 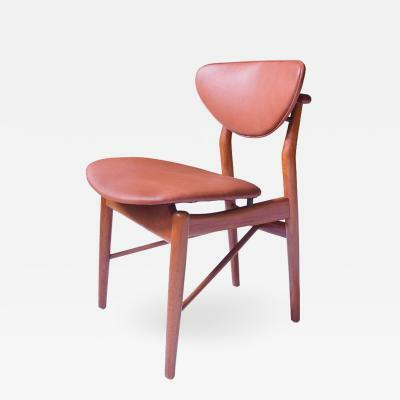 Like many of his contemporaries, Finn Juhl studied at the Royal Danish Academy of Fine Arts. 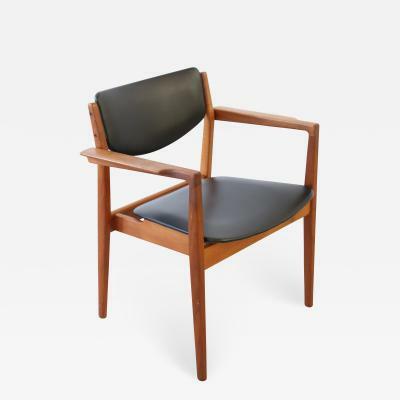 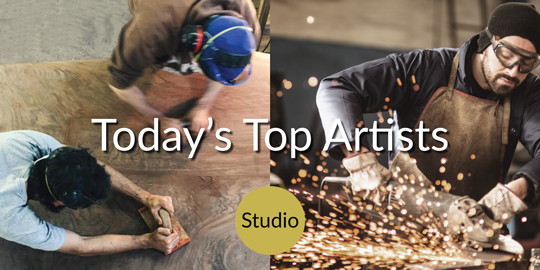 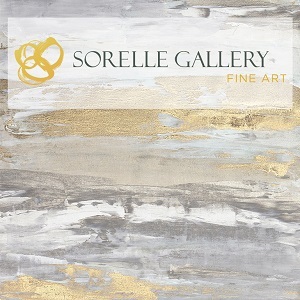 After he graduated, Juhl worked at Vilhelm Lauritzen’s architectural firm for about a decade. 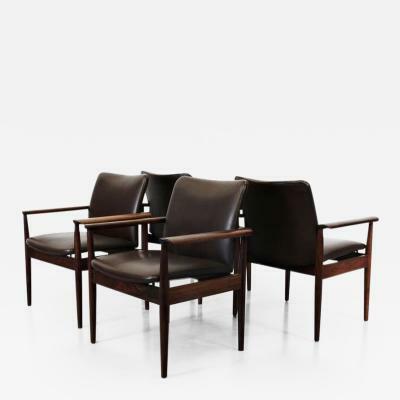 During his time there, he was assigned to the firm’s most high-profile project: designing the interior of a national Danish broadcasting building. 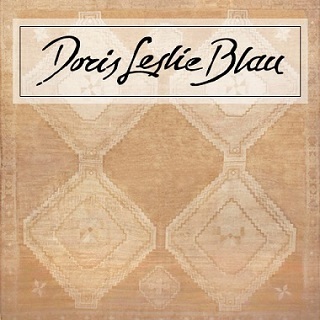 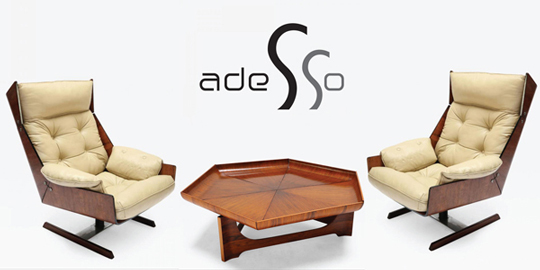 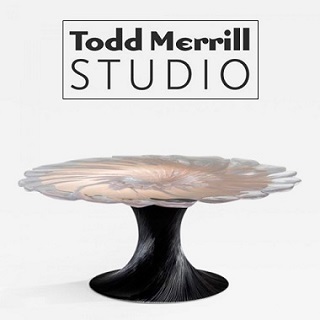 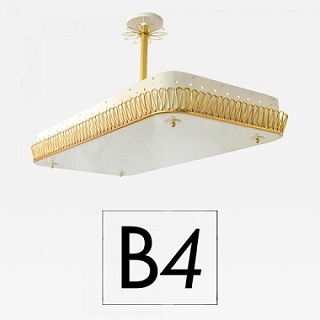 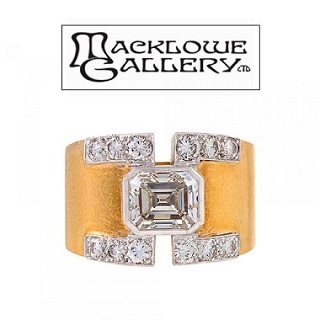 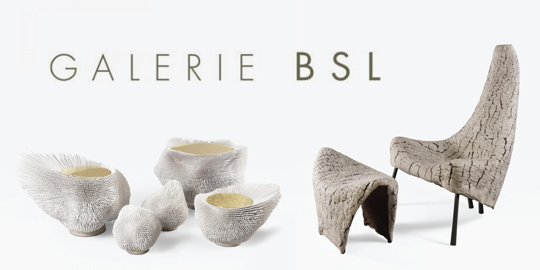 He established his own design firm in 1945. 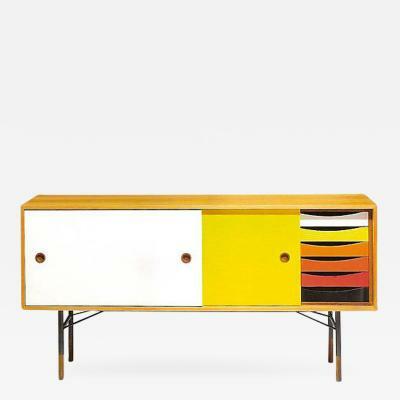 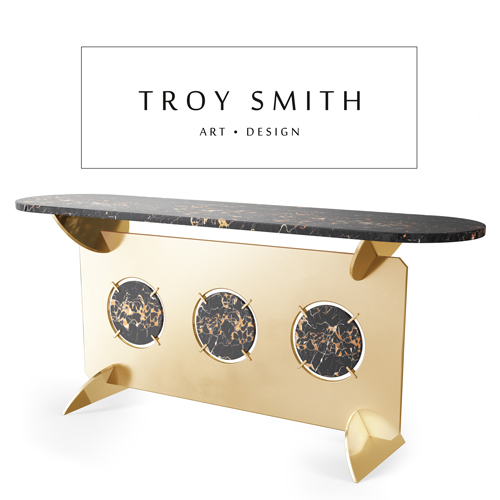 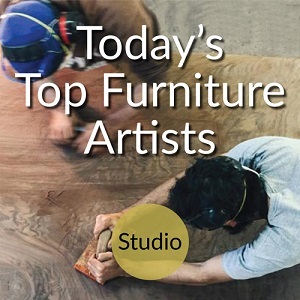 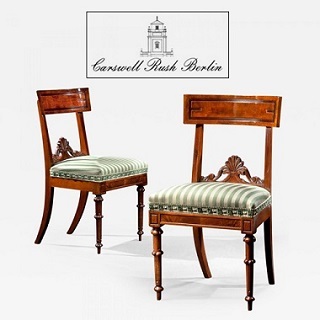 Juhl exhibited his radical furniture designs at the Cabinetmakers’ Guild Exhibitions, where his work was first met with a fair amount of criticism. 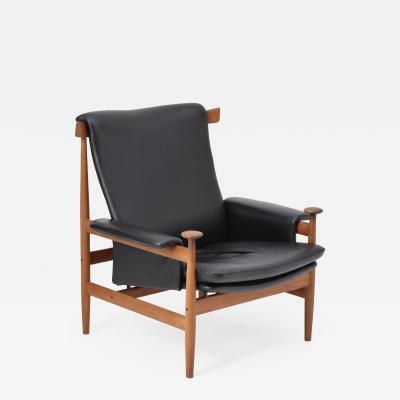 Finn Juhl was more radical than some of his peers, and eventually, his design aesthetic influenced the style of homes all over the world. 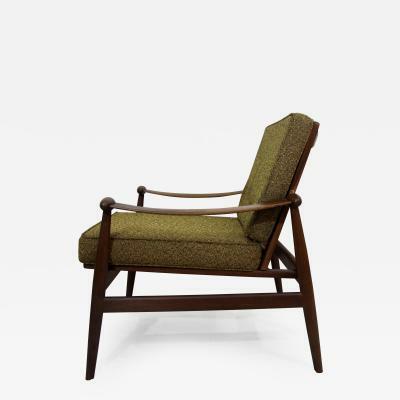 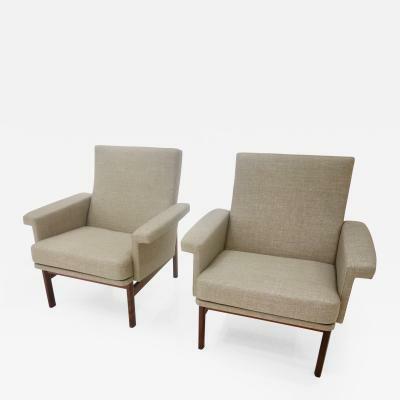 A signature staple of Finn Juhl was the floating back and seat, which was usually upholstered to contrast with wood, seen in his well-loved Pelican Chair. 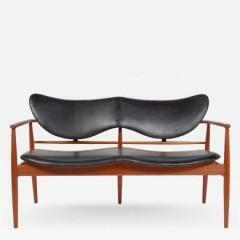 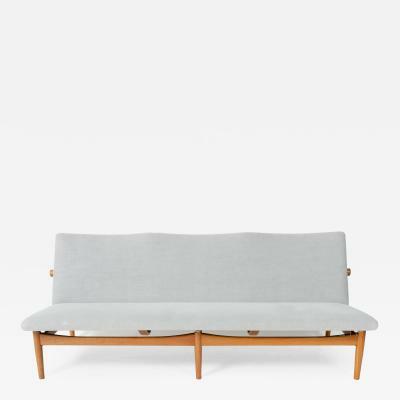 Finn Juhl furniture remains popular today.